If you’re looking for a fun and easy way to dress up a basic tee, check out our great selection of women’s v-neck t-shirts! These shirts are comfortable, fun and flattering all in one incredibly affordable package. At ShirtSpace we have an incredible collection of stylish women’s v-necks for all occasions. Whether you’re going for a run or out on the town, you’ll look and feel your best in a tee made of quality material in a stunning cut and color. A good v-neck accentuates the décolletage. It’s a great option for those who want to show off a lovely necklace or just their beautiful skin. Whatever the case, plain v-neck t-shirts bring a little oomph to your collection of essential basics. Our v-neck tees come in amazing solid colors and bold stripes. 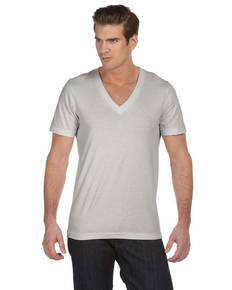 You’ll be noticed for your cool and natural style in any one of these v-necks. We offer sizes from XS to 3XL, so you’ll be sure to get the perfect and comfortable fit that you’ve been looking for. Throw on one of these tees as is and feel your very finest! All of our plain v-neck t-shirts are also superb options for screen-printing. 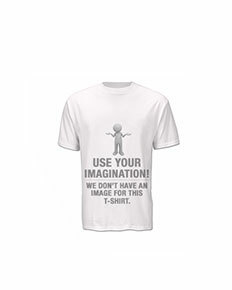 Put your own designs on any of these affordable tees and express yourself! Whether you’re ordering one or 500, we are committed to giving you your v-neck tees as soon as possible. Stock up on these shirts to your heart’s content! We keep our prices low so you can get all the stylish tees you need. Women’s v-neck t-shirts are a fashion staple that are here to stay, so come get the very best!